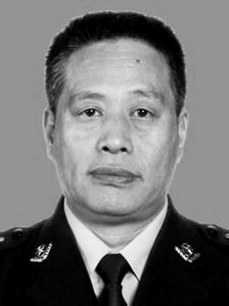 Gao Baolai, a policeman from a community in Beijing's Haidian District, was granted a posthumous award for his services at the "2015 Beijing Role Models" awards ceremony. Gao Baolai, a policeman from a community in Beijing's Haidian District, was granted a posthumous award for his services at the "2015 Beijing Role Models" awards ceremony on January 5. Gao, born in 1956, was a member of the Enjizhuang Police Station. Over the past five years, he used to show up at 6:30 in the morning every day during school days near the gate of the Haidian District Experimental Primary School to divert vehicles and maintain public order, so that pupils could safely cross the street and enter the school. Children affectionately called him "Grandpa Policeman." In order to continue his service to the children, he postponed medical examinations several times even though he began to feel under the weather in October 2014. In February 2015, he was diagnosed with lung cancer and was forced to leave his post for medical treatment. He passed away in May 2015. Ten other Beijing residents were awarded the "Beijing Role Model" title for their public services.